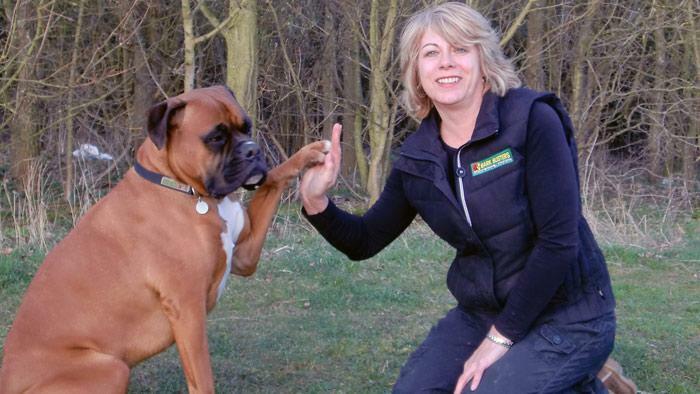 My name is Lynn Prentice of Bark Busters Home Dog Training St. Albans. 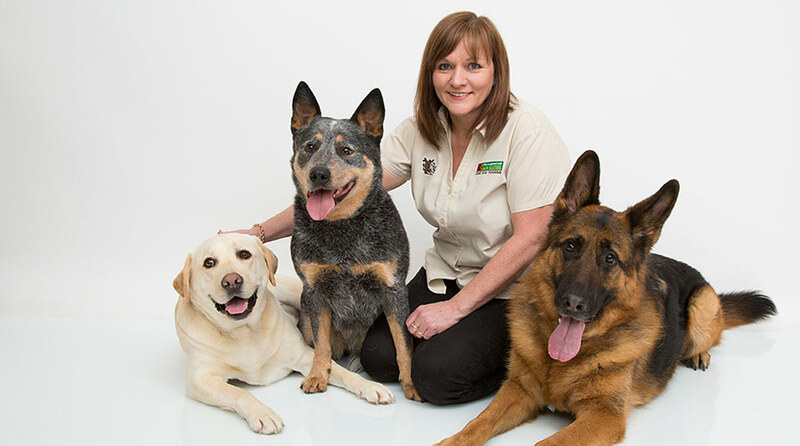 I am a Master Dog Behaviour Therapist and I have been helping dog owners for the past 10 years. During this time I have helped over 3,000 owners and their dogs, of all shapes and sizes, with a myriad of problems. There can be many reasons why a beloved pet begins to show traits that you may not welcome, barking, jumping, pulling, aggression, separation anxiety, sibling rivalry, recall or just selective hearing. It is my job to establish the cause and then form a personal training plan for you to follow, to start to tackle the unwanted behaviour. Maybe you are a new owner of a puppy and you want to make sure that your new four-legged family member gets the right start in life. When I visit, l will take a comprehensive history of your dog and coach you on how to effectively communicate with your dog. You will be amazed at the difference in what you think you are saying to your dog and what they are actually hearing. Armed with your personal plan you will be able to start to work with your dog to achieve your goals. You can be reassured that I return to help and support you, free of charge, under the Bark Busters Support Guarantee, that you have purchased. I know what it's like to have a challenging dog. Before I became a Bark Busters dog behaviour therapist and trainer in the St Albans area, my large boxer, Ralph, had many behaviour problems. As much as I love Ralf, I cannot pretend that he did not have some worrying behaviours as he was growing up. He liked to chase sheep, he didn’t like to come back until he was ready, and he was inclined to show aggression towards dogs he took a dislike to. However, with the help of Bark Busters I got these behaviours problems under control and life with him became a pleasure. He went on to become a Pets as Therapy Dog and I became one of the Bark Busters pack along with being a temperament assessor for Pets as Therapy and Hertfordshire Police. Take a look at what dog owners are saying about me and you can have the confidence that I can help you to resolve you dog's behaviour problems. I look forward to meeting you soon.